Gosh, I wonder how many bags I have sewn myself in the last 10 years. You’d think after so many bags, I would know exactly what I want in a bag, but I am still figuring it out. I tried really hard this time, to try and get it right. 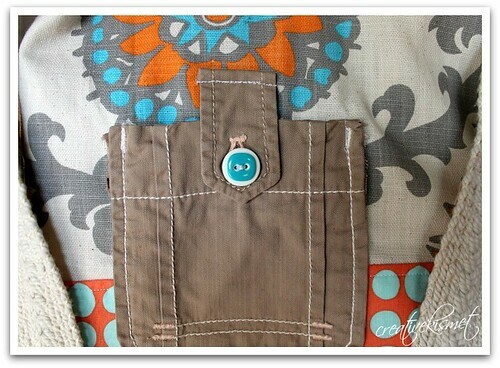 I don’t want a fussy bag, no flaps and zippers, so I have a feeling that those buttons will get on my nerves, but aren’t they just super cute! 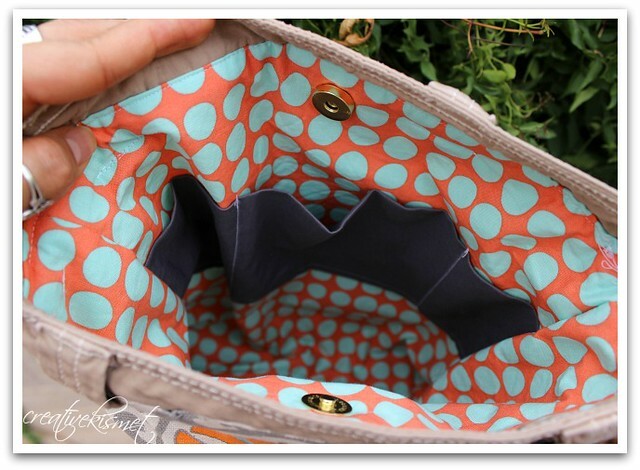 I do, however love pockets on the outside of my bags. Easy access for keys, phone and sunglasses. I just don’t like making pockets. Yuck! So, instead of making them, I ripped apart some old cargo shorts that I didn’t like and wallah! Instant pockets! Yay!! So, I guess my bags are slowly evolving and I will eventually figure out the perfect bag for me. 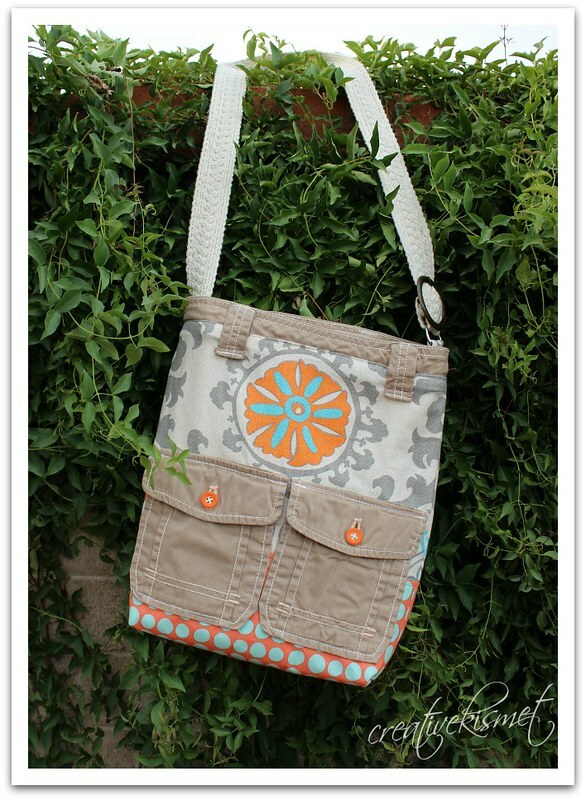 This entry was posted in i make stuff, Recycle,Reduce,Reuse, Sewing. Bookmark the permalink. Gosh Regina, you do get so much done!!! I love the colour, patterns and style of this bag. How clever to use the pockets from the shorts!!! The buttons do make it !!! this is so cute and practical love it! was it hard to put(not sure what they are called) but the metal clasped that hold it shut, do you need special tools to attach them? I love it!! 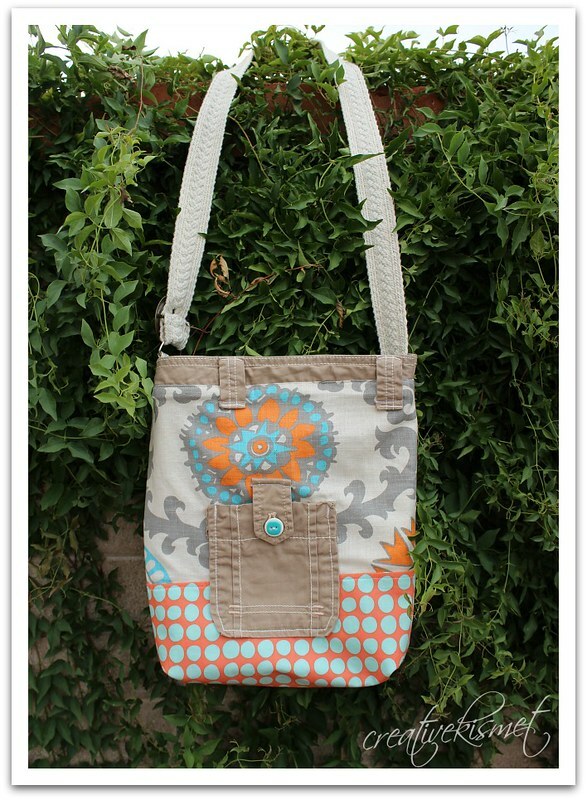 I’ll have to send you a pic of the bag my bestie for me for my birthday – it’s a lady in WA state that uses all recycled materials. 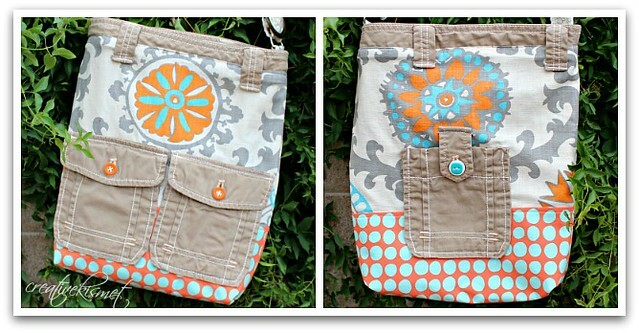 It’s like a mini messenger bag using a pair of cargo pants as the base – LOVE all the pockets!! !